Come join us for an art journalling experience, discovering, accepting, releasing and surrendering to develop a complete self love practice. Let’s dig deep from the bones out, let’s connect, share and awaken our souls together. During this 5 week workshop we will gather Thursday mornings in Roleystone where we will pledge our commitment to ourselves in circle. 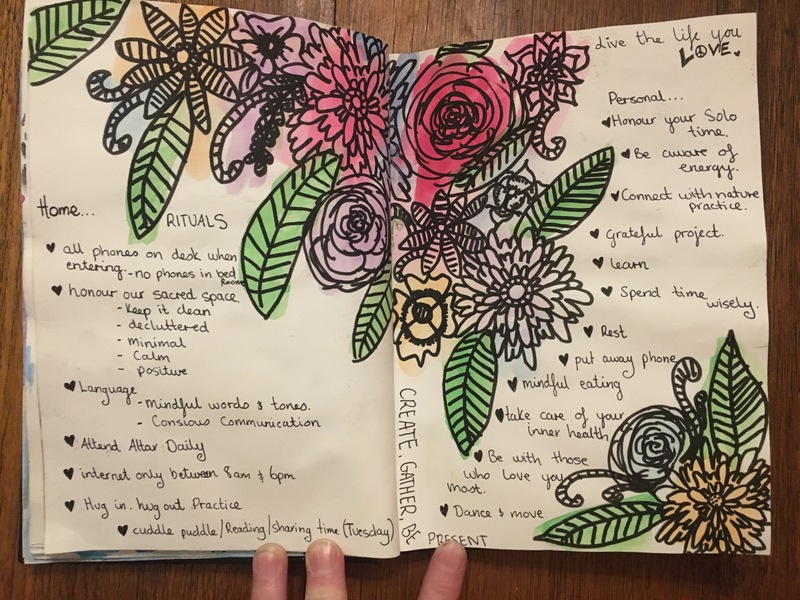 In this workshop you will be creating an art journal through a daily Self-Love challenge. The challenge will include some type of easy movement and meditation, releasing what no longer serves you, acceptance with mantras and meditations, surrender to what is and to learn how to come back home to your self. A rebirth of Creativity and Self-Love! The 5 week workshops is $180 per person including and a daily online challenge with videos to help guide you. Plus chai and morning tea. On payment you will receive a materials list of everything you will need to get started. The workshops may only run for 2 hours but they may go over time. Daily commitment at home with the other parts of the challenge are essential to the happenings of this workshop.